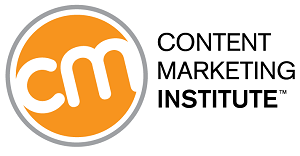 The best source of information about what’s happening in the fast-changing world of content marketing is the Content Marketing Institute. The website is a rich source of ideas for developing strategies, managing workflows, and measuring results. In a recent webinar, Joe Pulizzi and Robert Rose from the Content Marketing Institute discussed four major content-marketing trends they expect to see in 2016. The talked about: the potential for pushback against content marketing; the need for a focus on the quality of content, instead of the quantity; the state of native advertising; and an increase in mergers and acquisitions. You can find a recording of the full webinar (“The Top Content Marketing Trends and Predictions for 2016”) in the “Events” section of the Content Marketing Institute website. Here is a quick summary of the key points that resonated with me. Companies that aren’t getting the expected results from their content marketing efforts are starting to question their investments of time and resources. Pulizzi and Rose emphasized that content marketing is hard to do well. Content marketing gained traction after some early adopters publicized their successes. Now that we’re starting to hear more about some of the failures, companies are starting to rethink whether they are on the right track. We are all so busy creating multiple forms of content and promoting it through multiple channels, we don’t stop and ask two simple questions: How is the content that our company produces different from our competitors? If we stopped publishing all this content, would our customers miss it? Pulizzi and Rose emphasized that the value of content marketing doesn’t come from how many content assets a company builds, but rather from the quality of the audience that the content attracts. Instead of treating content marketing like an alternative form of marketing collateral, companies should regard content development as a way to build a bridge to an audience. One goal might be to create the least amount of content that produces the highest amount of impact. Native advertising in large, well-established publishing brands could be a short-lived opportunity for corporate brands. Media companies are finding that their own credibility and brand-image suffer if they don’t adequately control native advertising. On the other hand, brands that have successfully built content platforms with large audiences may start to offer native advertising slots to other brands. Before launching new publications, publishing companies routinely assess the competitive landscape to identify whether any existing publications might be ripe for acquisition so they don’t have to start from scratch. Pulizzi and Rose suggest that marketing companies don’t have to build content-publishing platforms. Bigger companies may seek to acquire established publishing companies or associations. Smaller companies in B2B markets might want to hire bloggers who have already built a strong following in a field related to their products.